Chicken Island is also known as Koh Kai, Koh Gai or Koh Hua Khwan. This small and unusual looking island is situated just south of Poda and Tup Islands about 30 minutes by longtail boat from the west coast of Krabi. 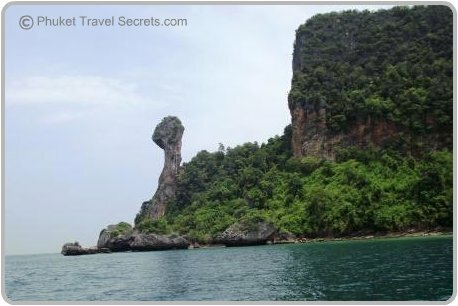 Koh Kai received it's more commonly known name as Chicken Island because of a large rock formation that undoubtedly resembles the head and neck of a chicken. 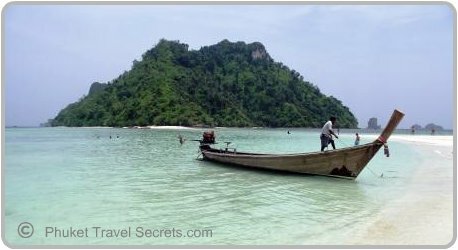 Koh Kai is somewhat of a local landmark; on one side there is sheer cliffs that are covered in vegetation, while the other side boasts a beautiful beach. What makes this spot so different from the other islands around Krabi is witnessed on low tide when a sandbar emerges from the water. 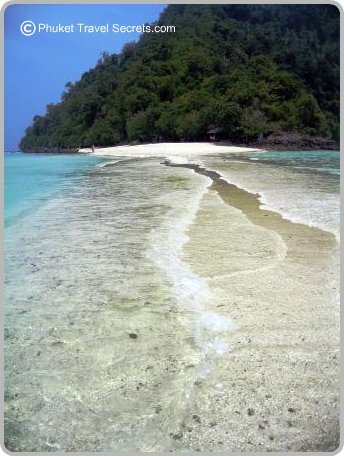 This sandbar connects Chicken island to the two smaller islands of Koh Mor and Tup in effect making the three islands become one. This picturesque and unique occurrence is commonly referred to as Talay Waek. When the tide is low you are able to walk across the y shaped sandbar from Koh Kai to the other islands of Koh Mor on the left or Tup on the right. The whole area is simply stunning with panoramic views of the Krabi coastline in the background. Snorkelling around the waters is fantastic with spectacular coral reefs and an abundance of tropical fish. 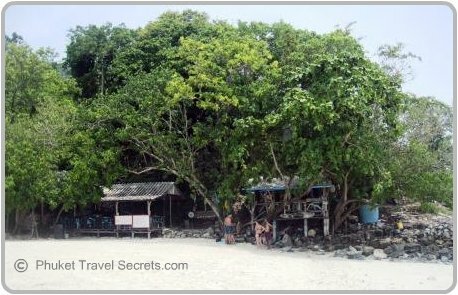 This is just one of the islands you get to visit if you do the Four Island Tour from Krabi. The other islands that are visited during the tour include the beautiful Phra Nang Cave Beach which is located on the Railay peninsula and Tup and Poda islands. Koh Kai is also one of Krabi’s main tourist attractions and can get busy, especially when day trips and tour groups arrive to witness the incredible sandbank that emerges from the sea on low tide. There is a range of facilities on the beach including a small restaurant, beach bar and toilets which are located just back from the beach. We were going to have our lunch at the restaurant but our driver said that we would be best to eat at Koh Poda, so I can't comment on the food, although the restaurant was fairly busy. You can book a speedboat 4 Island Tour with Easy Day Thailand. Alternatively you can organise a tour yourself. From Ao Nang you can get a return longtail boat to Koh Kai for 300 baht per person. The longtail boats usually won't leave until there is a minimum of 8 people in the boat, so you may have to wait for others before the driver will leave. If you don't want to wait for other passengers you can hire a longtail boat with a driver for the day to take you to all four islands for 2,200 baht. 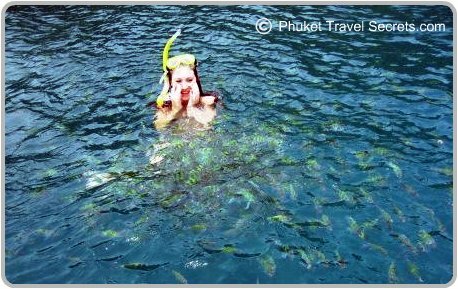 This is a great way to see the islands and you are assured of a wonderful day snorkeling, swimming and exploring Krabi’s beautiful offshore islands. You can catch a longtail boat from Klong Muang, Nopparat Thara and the Railay Beaches or if you are staying in Krabi Town at the Chao Fah pier. Please do not feed the fish on your day trip to Koh Kai. Fish feeding is illegal in Thailand.